The Blossomwood School library provides students and staff with open access to approximately 10,000 print resources and continuous access to approximately 800 eBooks. Library materials are carefully selected to supplement the school curriculum, ensure diversity, and to inspire a love of reading and learning. The library is open all day from 7:30-2:50 for students to check out new materials, read, or work on assignments. All kindergarten through third grade classes visit the library once a week for a thirty minute class. Fourth and fifth grade students visit the library biweekly (art week) for a thirty minute class. Sixth grade teachers collaborate with the library media specialist to plan small or whole group activities that incorporate library and information skills with classroom content on an as needed basis. 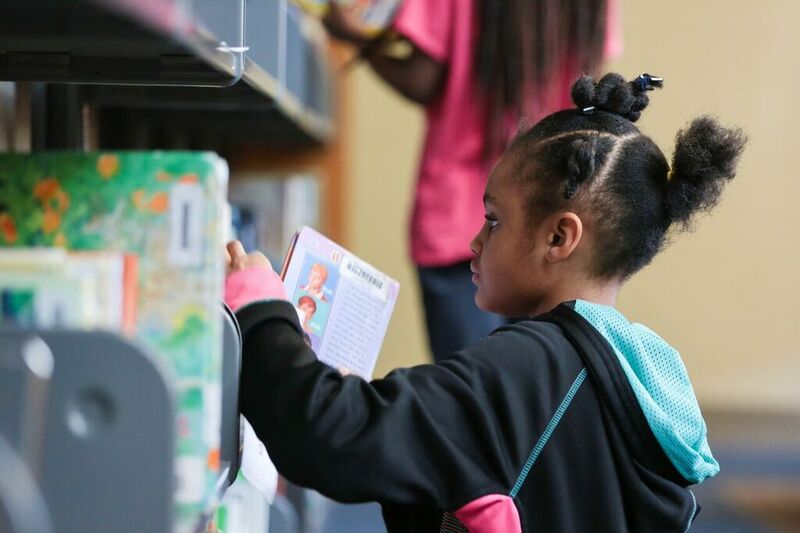 Third through sixth grade students are allowed to visit the library at any time during the school day to check out new books at the self-checkout station. The library closes at 2:50 p.m.